From gaining only one new customer to gaining hundreds and $90,000 of new business in a single weekend. From no new leads to 10,000 leads & $1 million in 10 minutes. 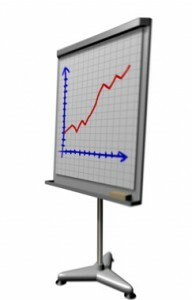 Implementing a new strategy at a trade show to gain over $10 million in new business. Are these stories really true? Would they work for me and my business? What’s really working best for businesses today? Well, I’ve been in marketing since 1999, and I’ve seen a lot of what’s worked and what has not. Right now, it is an amazing time in our world with technology allowing us to do much more in less time. …and actually, what’s working in marking a business is not that complex. It just takes knowing those critical elements and actually doing them. Yes, it really does take work – no “magic pill” here. You either need to do the work yourself or have someone do it for you, but the good news is that it is very possible to do. I created a presentation that shows the 5 critical (but most overlooked) elements of marketing a business successfully. It is 35 minutes, jam-packed with details on the five elements. You’ll see how the above case studies ($90,000 in a weekend, $1 million in 10 minutes and $10 million from two trade shows) are indeed true and you’ll see exactly how these companies did it. You’ll hear from two people just like you who implemented these steps have reaped the rewards. To get instant access to the full presentation, simply click here and enter your name and email. It is critically important to follow-up fast and provide real value to your prospective customers. You must get out there to be seen and be found. Take the action to be found in the best place for your business. It could be search engines, video sites, public events, speaking events, publicity, etc., but the important thing is you need to get out and do it (or have someone do it for you)! Think someone else could benefit from this message? Please use the share icons to share this page with them. Remember to get out there and make it happen and make it an outstanding day!